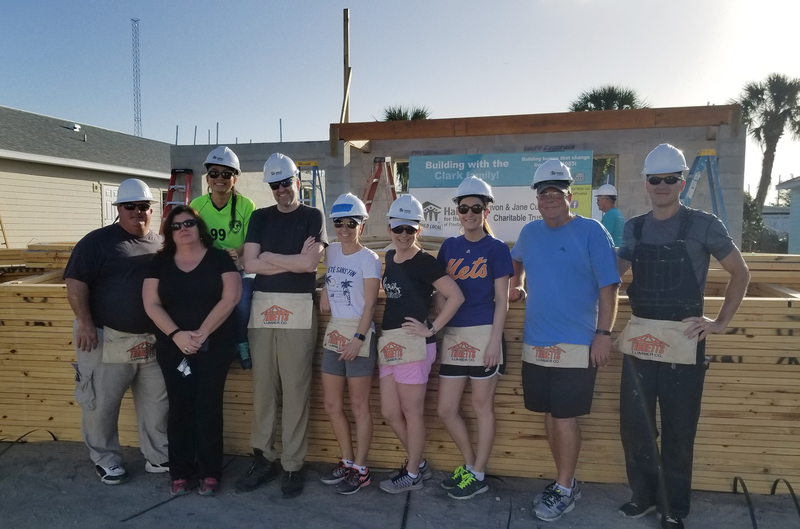 Each year Sembler employees volunteer for the Habitat for Humanity of Pinellas County. This year we brought out the hammers and nails to start putting together the basic structure of one home and brought out the paint to finish off the outside of another home. Our employees look forward to getting to participate in this volunteer day each year. It is incredibly rewarding to see the direct impact our work is doing for a community member in need! The goal of Habitat for Humanity is to partner with the community to bring community volunteers, corporate donors, civic organizations and faith groups together to build affordable homes for struggling, low-income families and individuals throughout Pinellas County. To find out more about this organization and how you can help CLICK HERE.